On Thursday, July 31st, Andres Roots & Raul Terep will be appearing at the Pärnu Blues Festival - the outdoor stage at the Pärnu Yacht Yacht Club. 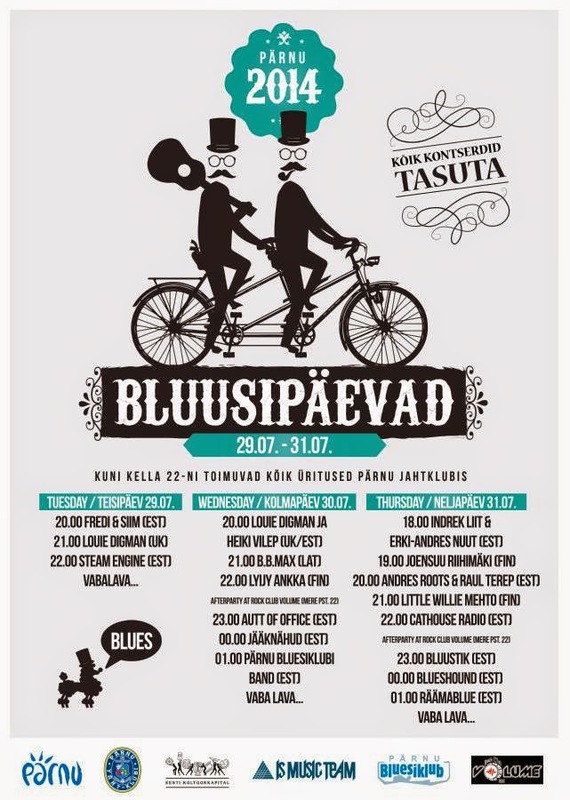 In case you've forgotten, all Pärnu Bluesfest gigs are free! "It is clear why Andres Roots is considered one of the best guitarists in his homeland and on the European underground blues scene: from start to finish, the creative tension between his instrument and Terep's drums is palpable." "This is a man who can play the blues... Raul Terep tears it up behind him on drums, the pair stomping and striding through a set of up-tempo, highly charged electric blues 'n' drums. There's nothing new here, but damn they do it well." "The injection of soul licks and traditional Estonian airs... turns the difficult task of a full-length instrumental concert into a happy moment where you feel you've heard as many stories as if there'd been a singer recounting them."